Planting trees in the landscape provide you benefits that can far exceed the costs of planting and maintaining them over their life span. These ecosystem services include cleaner air, higher property values, energy savings, increased wildlife habitat, stormwater runoff reduction and improved water quality. One study showed that 100 mature trees catch about 139,000 gallons of rainwater per year. Trees can reduce the potential negative impacts of surface water runoff by intercepting and holding large volumes of precipitation on surface areas (ie. leaves, branches and trunks) while reducing soil erosion by slowing the speed of runoff on the ground. 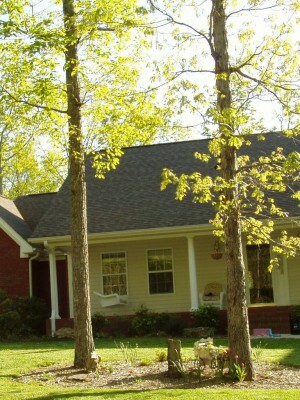 Trees extensive roots systems increase the infiltration and storage of stormwater in the soil. Some areas with high deer populations may require a deer guard to prevent deer from eating branches or rubbing off bark. An estimated 6.1 million homeowners in the Chesapeake Bay Watershed manage and maintain their own yards. Adding trees in the landscape will not only help protect local streams and rivers, but can result in direct and substantial cost savings and other benefits to the homeowners. Trees come in a variety of shapes and sizes. Select trees that exhibit characteristics that help you achieve your objectives (wildlife, shade, wind break, privacy, aesthetics, stormwater reduction or a combination thereof). Consider, also, the characteristics that you may find intolerable later. Sweetgum (Liquidambar styraciflua) is a fast growing hardwood tree that forms a nice crown. However, eventually it produces vast quantities of spiked, spherical autumn fruit that some homeowners find undesirable (especially to the unshod foot). Know thy enemies. Trees, like all pants, are subjected to stresses form herbivory, pathogens and anthropogenic (human caused) activities. Some of these stresses can be species specific. The emerald ash borer (Agrilus planipennis), for instance, attacks most species of our native ash, which are very common in the woods and urban area of this region. Infestation is usually fatal to the tree. The distribution of the emerald ash borer is growing in our region. Ash may not be a great investment for your yard at this time. 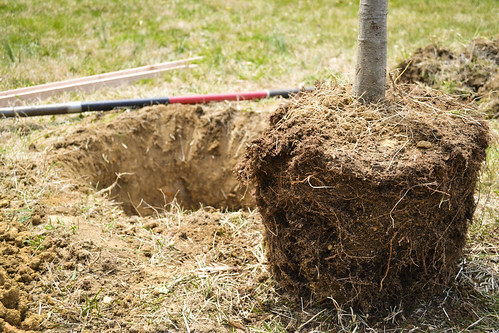 Make sure you check community or local ordinances regulating tree planting and with you utilities for underground wires or other building infrastructure. Dig safely, call Miss Utility. Trees can be planted anytime of the year if properly maintained. 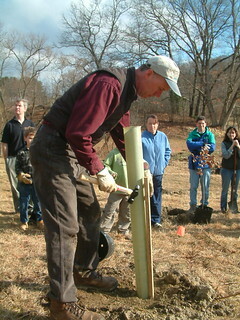 Howwever, the best time of the year to plant trees is in the early spring or in the fall. Spring plantings benefit from the rainy season after the soil has thawed. Fall plants are better for deciduous tree plantings as they are about to go dormant. Conifers like pine, cedars and spruce can be planted in the fall, but they may require periodic watering during mild winters. Cover the entire planting area with a 3 to 4-inch layer of mulch, but keep it 2 inches from the base of the trunk. Mulch keeps the topsoil temperate for root growth, reduces surface evaporation of water, slows or stops weed and grass growth around the tree’s base, and prevents a hard crust from forming on the soil surface. Do not create a mulch mountain! 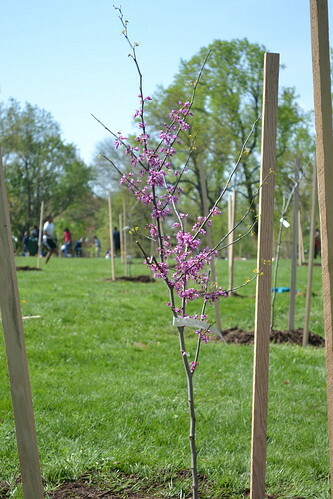 Redbuds are smaller trees with beautiful pink/purple flowers in spring. 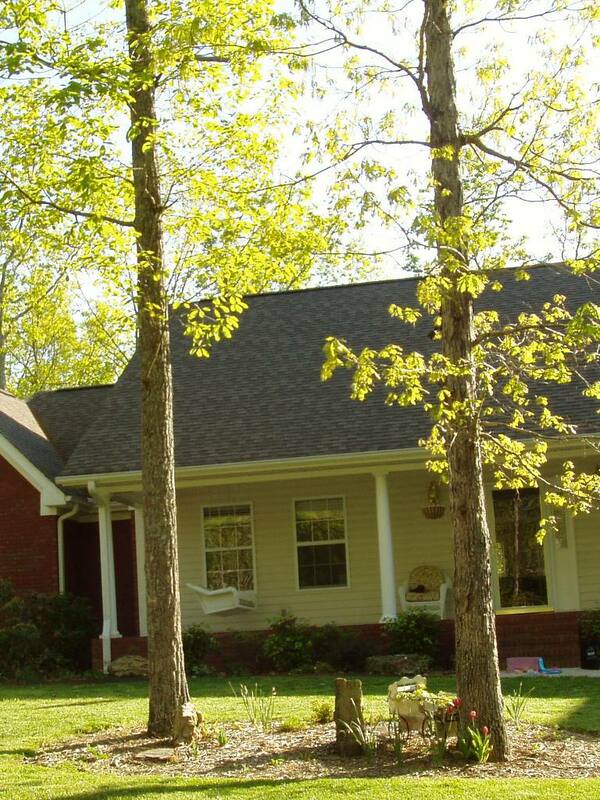 Trees can increase property value, reduce energy bills by providing shade, and add beauty. 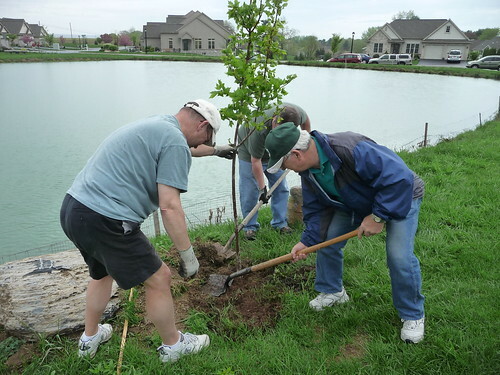 Homeowners planting a tree along community lake.